Today, no matter what side of the fence you are on or who you voted for or why, remember your neighbors, your friends, your family are the same people today as the ones you knew and loved yesterday. We are a nation of nearly three and a quarter million voices. Let your voice rise above the hate. Let your voice welcome your neighbors, let it build them up up rather than tear them down. Today and always, choose love. Please feel free to share this image. Pin it, tweet it, make it your profile image for your social media. Choose to be the voice of the greatness of this nation. 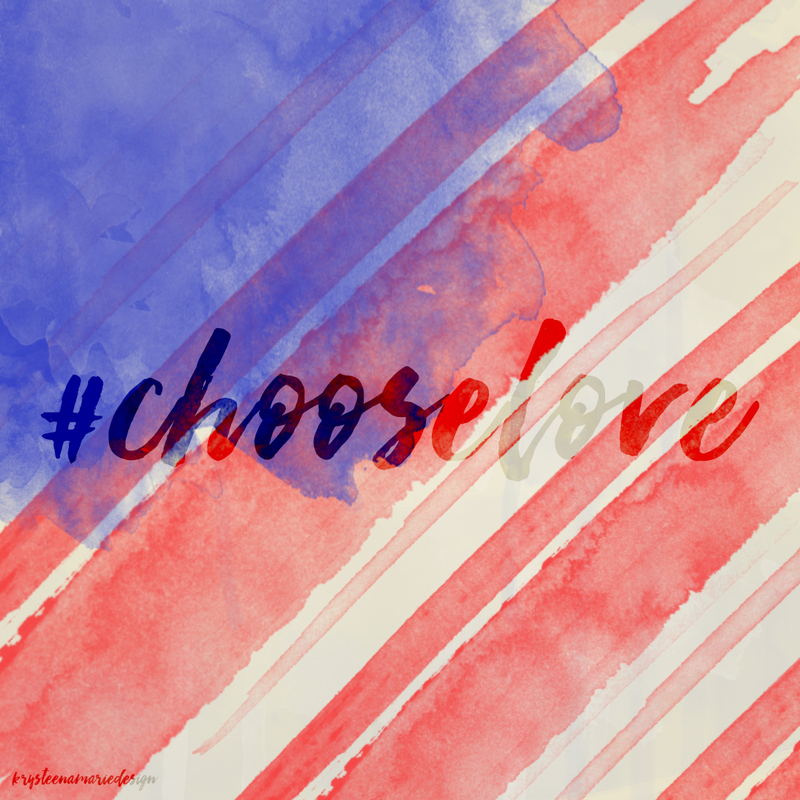 #chooselove.